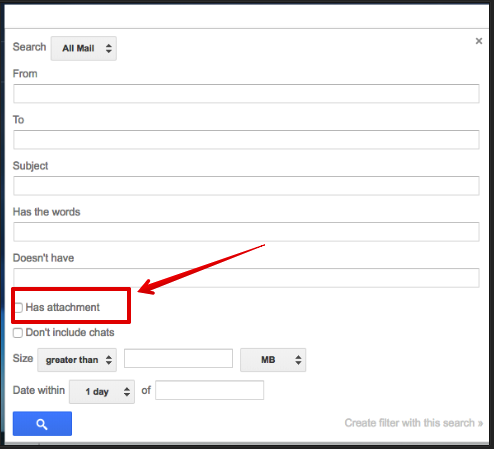 Check the box which says ‘Has attachment’ then click on search button. You can refine your search by typing specific info in the other boxes as well. This is an excellent Chrome extension which allows you to easily search for and manage your Gmail attachments. This is way better than the Gmail built-in search feature. 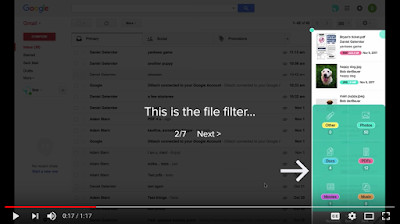 Some of the things you can do with this extension include ‘Search or browse every attachment you’ve ever sent or received, search directly from the Gmail search bar, share, forward and print attachments directly, delete attachments without having to delete the original email.’ Watch the video below to learn more about Dittach.